TCP-84 or the thermocouple probe uses φ1mm ‘K’ type thermocouple to sense temperature. 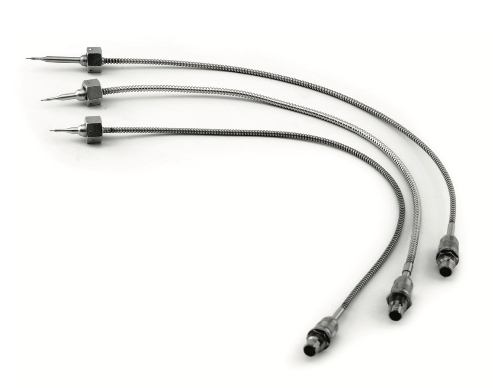 This temperature sensor has three con gurations, varying only in the immersion length and thus named as TCP-84-25mm, TCP-84-32mm, and TCP-84- 50mm. Successfully flown in all ISRO launch vehicle missons.